18 year old girls are now adults so should really be referred to as women or ladies! It is such an exciting age as the world is now opening up to her and independence will be more and more important. This makes it quite exciting to buy a gift for an 18 year old. She may be moving out of home to a dorm at college or to a home of her own with friends or even a boyfriend. She may still be at home but will be wanting her room be her own space. Even if she is still at home, there will probably be nights when she is not there, perhaps she is staying with friends or even travelling. All this can give clues as to what to buy as a perfect present. ✔️ This gift is the most popular one on this page with our readers. ​18 year old women will want to look good. She will enjoy buying clothes and accessories such as make up and hair equipment to enable her to achieve the look she wants. She may be driving and even have her own car which can open up a whole new range of gift to buy. She may be studying so gadgets that will faciliate and help her study are often a good idea. If she is going out to work everyday, what are the kinds of gadgets and stuff she needs to make their working life a little easier. 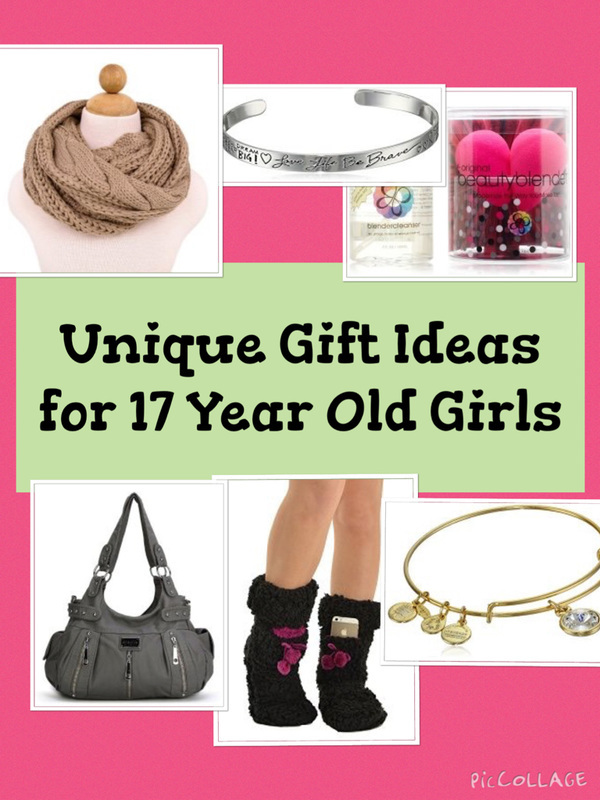 Looking at the daily life, interests and hobbies of an 18 year old can make it a little easier to find a gift. If you're still stumped for ideas check out some specific gift suggestions and lots more ideas below. Those of us who are older than 18, know that our 18 year old self could have benefited from some of the wisdom we have learned in subsequent years. This book aims to give 18 year olds a little bit of that wisdom that we wish had. It's a collection of letters from 12 different writers aged between 20 and 58. There are both female and male writers. It is the advice they wish they had when they were 18. It contains lots of advice and valuable lessons in a short book. In fact I don't think you have to be 18 to benefit from this book, I think people of any age could gain some wisdom from other people's life experiences. If she is at college, this is a really fun book to get but also jam packed full with practical information. It has advice and tips on how to deal with all aspects of college life including dorm living, social networking, classes, dating, parties and money. There are some really great things about this book. Firstly the humour, it's a funny read which makes it easy to pick up and enjoy. Secondly there are tips directly from college students and it's honest too. A fantastic book that college students can dip in and out off or read cover to cover. This is a life changing, no excuses book that's easy to read. It's the perfect gift to give a young woman at the start of her adult life as it she will be able to learn from the wisdom and advice of somebody that's done it all before. There are empowering lessons in this book with help for dealing with careers, relationships, friends, personal life, dreams and goals. It's an enjoyable read which gets the points across quickly and with impact. A gift she won't forget. ​At age 18, it's very likely whether you're at college or at home, you will not always be staying put in one place. 18 year olds are likely to stay at friends, move between college and a parent's home or even go traveling. So gifts they can take with them on their travels are often very practical and useful. You can get lots of small portable gadgets from speakers to e-book readers which are perfect, lightweight and easy to take from place to place. The gorgeous Vera Bradley hipster cross body bag is perfect for 18 year old girls who need something to put her essentials in for a trip or just for everyday use. Very Bradley bags are very popular at the moment. The bag featured has lots of different striking designs. It's very practical. It features a front slip pocket and zipper pocket as well as 1 zip pocket in the back. It could also be use as a shoulder bag for use on a plane or in a car. Also great for shopping trips, running errands or just taking the stuff you need out and about. Bluetooth speakers like the speaker featured are super portable and are handy gadgets to have if you love listening to music. The will stream your music wirelessly via a bluetooth device such as a iphone, ipad or other cellphone or tablet with bluetooth. It can be used on the go. It will easily fit into a bag to take traveling, on vacation or to a friend's house. It weighs just 1.2 pounds. It could also just be used when listening to music at home in the kitchen or the bedroom. As it's easy to move around to different rooms too. A fully charged battery will deliver up to 8 hours of playtime. It also features a built in microphone for hands-free speaker phone calls. If you are looking for a speaker that's a less expensive than a Bose, there are tons of other options. One is a shower speaker like the speaker featured. She can stream her music from her phone or other device and enjoy singing along in the shower. Or take it to the pool or ocean in the summer. The speaker is super small and lightweight so it's easy to just throw in a bag and take it to listen to music wherever you want. If you want to get a special piece of jewelry for this birthday, Tiffany pendants, necklaces and bracelets are one idea. If you're spending quite a lot on a piece of jewelry you want to make sure you buy something she likes. A trip to the store could be part of the birthday experience, she can try on some pieces and choose one she loves. They can see it wrapped. Jewelry that is expensive should ideally be timeless so that it will last years and there will be a lasting memory and the trip to get the jewelry too. A Pandora bracelet with charms is also a treasured piece of jewelry for teens this age and not quite as expensive. 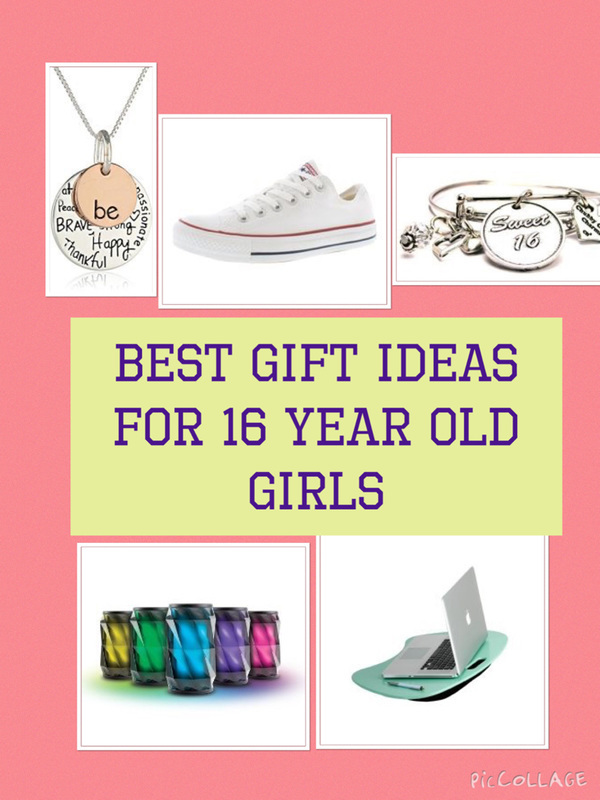 There are some lovely pieces of jewelry with inspitional messages on them that make lovely gifts for 18 year old women. The necklace featured is just one example. It is an sterling silver featuring a two-piece charm with "be" engraved on rose gold charm and "Kind, Free, True, Brave, Strong, Happy, Thankful, Compassionate" engraved on silver charm. It is a piece that can be worn daily and is a fantastic reminder of an inspirational message. It can also be worn for years to come. There are many other inspirational pendants with different messages which make lovely gifts too. Another inspirational message on a piece of jewelry is the "The Journey is the Reward" pendant featured. It is engraved on a twisted pendant and it comes in a black velvet gift pouch for gift giving. It is a lovely message for an 18 year old girl who is just embarking out on her adult journey. It's also a reminder to enjoy the journey along the way to your goals. A cuff bracelet with an inspirational message engraved is another option. This bracelet reads "If You Can Imagine It, You Can Achieve It. If You Can Dream It, You Can Become It" . They are simple words of inspiration which can give a real uplift when things are getting you down. Another option which is perfect for everyday wear. There are lots of beauty and make up ideas that make fab gifts. Beauty treatment voucher for a salon or pamper / spa day vouchers are winners for women of all ages including 18 year olds. Hair tools such as wavers, flat irons and curling irons are also good if they don't already have them and like to do their hair. Another idea is make up. Teens this age probably have some make up but it's always an idea to get them some more. Some brand names to look out for include Benefit cosmetics and Urban decay. Eyeshadow pallets, mascarsa, eye liner and lip gloss are often fairly easy to buy. If you buy higher quality end of make up it's probably more than she normally pays (if we assume most 18 year olds have a little less money than the people who buy for them) and she will appreciate the quality. Just be careful about buying the right shades, a pallet or a selection of colors is often good. A make up organiser or jewerly tidy is a great gift to help her organize all her make up or jewelry. A hair straightening brush is a really useful beauty tool to have. It will smooth, straighten and flatten your hair giving it extra shine in just a few minutes. Plus it tends to be quicker to use the a flat iron. It works great on different hair types from very thick to thinner. There are 16 different settings so you don't have to worry about it burning your hair if your hair is thinner but it can be used quite hot for much thicker hair. The heat up time is 60 seconds and it has and an auto shut off feature for safety too. The bath bombs featured are handcrafted and are beautifully scented coming in 12 unique different scents. She will love how she smells after a bath. They are made of the highest quality natural ingredients to keep you hydrated but will not leave your skin sticky. The ingredients are not tested on animals. The bath bombs are designed to offer a moisturizing bath. They are individually wrapped to ensure freshness. This Burt Bee's everyday essentials kit contains 5 travel sized products (deep cleansing cream, hand salve, body lotion, foot cream and lip balm. The travel sized products are perfect to fit in a wash bag and take on vaction or to college or just to have at home. It's a great kit to try out some new products as well. ​A lovely gift which most ladies will appreciate. Tangle free / wireless earbuds. Wiress bluetooth headphones are a good choice for women who work out. She can stream music from her phone or other device with bluetooth and she doesn't have to worry about wires getting tangled. If you get headphones with a mic she can also use them to answer phone calls while on the go. A portable charger - great for when she is out and about and runs out of battery on her phone. It give peace of mind to know there is a back up. It's has a voice recognition system that is called Alexa. She can ask Alexa questions and give it commands and will get answers. Find out what is the latest news, get travel and weather updates, order a pizza, find out movie and TV show times, get recipes and lots more. It is also a speaker and will play music from Prime Music, Spotify, Pandora, iHeartRadio and TuneIn. And she can tell it what to play just by using her voice. ​It is also compatible with devices such as lights, switches, thermostats, and more from WeMo, Philips Hue, SmartThings, Insteon, Nest, ecobee, and Wink. This will allow her to do things switch on the lights with her voice without getting out of bed or off the couch. If you don't want to fork out for an amazon echo, another option is the Echo dot. Other than size and audio functionality, the two are pretty much identical. The Echo dot has less in terms of audio power although it does have a speaker and you can attach it to a more powerful speaker if you want. But other than that the devices are pretty similar and can do much the same things. A portable charger is a really useful little gift. The charger featured is about the size of a lipstick so can easily fit in a pocket or bag. She will no longer have to worry if she's out and about and her phone runs out of battery. The charger holds over one charge (14 hours talktime) to an iPhone 6, almost one full charge to a Galaxy S6 or one full charge to most other phones. It's good to give peace of mind that she will always be able to use her phone when the battery is getting low. At 18 years old, she may use accessories for dressing up when she goes out with friends or her boyfriend. Ideas include belts, clutch bags as well as jewelry. There are also some great accessories for everyday use too which also make terrific gifts. Scarves, texting gloves (that she can wear while still texting on her phone), beanie hats or sunglasses are some ideas. She may also have a purse for everyday use. Or what about a wristlet which is perfect for carrying a cellphone, money, keys and the bare necessities when you don't need a big purse. Nightwear such as pajamas and slippers can make brilliant and useful gifts especially around Christmas time. A robe can be a really practical gift for an 18 year old girl. If they are at college it's great for using while getting ready for going out when friends may be hanging around your room. It's obviously great practically to put on when walk to and from their room to the bath and shower. An ID case is perfect for the college student who has to carry her ID with her. ​The little wallet featured is practical in so many ways. It can carry any ID needed but is also perfect for carrying other cards when she doesn't want to carry a bit purse. It will just fit in a pocket. It features an id window, a compartment for cash or cards and a signature key ring. Wristlets are brilliant. If she hasn't got one she'll wander why she didn't get one earlier. They hold your smartphone, cards, money and ID. You can carry them on their own and attach them to your wrist. Or attach them inside of a bigger bag so it doesn't get lost in the bottom. The Vera Bradley wristlet featured holds an iphone 6. There are slots of cards, money and ID. There are different colors and designs to choose from. Clothes can be difficult to buy, but many young women like to receive them. One way to get around this problem is to take her on a shopping spree. Then you get to spend some time together and she can choose an item of clothing that she loves. Another idea is to get vouchers for her favourite clothes store. If you would like her to have something to unwrap, casual clothes such as hoodies, tops and jeans are often easiest to buy. Look to see the style of clothes she is currently wearing to give some idea of what she likes. Make sure you buy the right size and always keep the receipt. Don’t offended if she doesn’t like it either. Accept it may be difficult to get it right. There are some fantastic novelty items of clothing. Ideas include novelty the-shirts with slogans, fun character onesies, slippers and novelty socks. One great idea for an 18th birthday is the “Made in 2000 - All Original Parts” t-shirt featured. It comes in several different colors, not just pink. The the-shirt is excellent quality and the slogan has been heat treated and written with printed with new age printing technology. It’s a fun shirt to wear on at a birthday party or throughout the big day. The great thing is that unlike other 18th birthday the-shirts, she can wear it through her 18th year and beyond as the recipient will have always been made in 1998. If the 18 year old you know has a car that they spend a lot of time in, there are some great driving gifts that you can get. Some ideas include a car charger for your tablet or smartphone, a holder for your cell phone, funky seat covers or a nice steering wheel cover (great for those winter days when you don't want to put your hands on a cold steering wheel). Check out a couple of great driving gift ideas below. This gadget gives a convenient way to add bluetooth functionality to your car which in turn lets you wirelessly stream music and make hands-free calls provided you have an aux in port. It is desinged to work with speakers which have an auxilliary port. Use it to play music and audiobooks from your device through the car speaker. .
​It will work great in 18 year olds who have a car stereo and who want to stream their music wirelessly from their phone via the speakers in the car. It's also a hands free unit. So with the built in microphone, it's possible to take calls while you're driving. Gifts for a driver can be really useful and practical. Does she have a car that gets quite messy. If she has trouble keeping the clutter under control than consider getting an organizer. It can go over a passenger seat and when passenger space is needed simply grab a side handle to swing the organizer to the back of the seat. It can hold all kinds of gadgets. A water bottle, a phone, sunglasses, umbrella, tablet, a pen, map, tissues, a notebook - whatever she needs to have or transport in her car. Whether they're at home, college or have a place of their own, they will want to personalize their space. New bedding, lamps, gadgets such as clocks and alarm clocks, bean bag chairs for a dorm room, a gaming chair, rugs, wall art, mirrors, speakers to play their music, pillows, throws, new furniture and organisational accessories are all great ideas. The Amazon Fire TV stick will give her access to lots more TV and music channels through her internet connection. Simply plug in the fire stick into the back of the television, connect to the wifi and it will allow you to have access to over 7000 apps such as Netflix, Amazon Video, Youtube, NBC and lots more. The best thing about the Fire Stick is the voice remote. You can start and manage content with the included Alexa Voice Remote. Simply say, “Play Game of Thrones” or “Launch Netflix” and Alexa will respond immediately. You can also use the voice remote to play music, find movie show times, even order a pizza. ​If she is off to college it makes a great gift to get some extra TV when she's away at home. It's lightweight, small and portable. Plus she can pick up where she eft off and bring her favorite hit shows and movies with her wherever she goes. This bed sheflie is a really useful gadget to have on the side of the bed. It easily clamps onto the bed and no tools are needed. It includes thick felt on touch points on the clamp. It can hold items with a weight limit of 13 pounds in total. So use it to keep items such as a phone, laptop, cup of coffee, water or a book by the side of the bed. 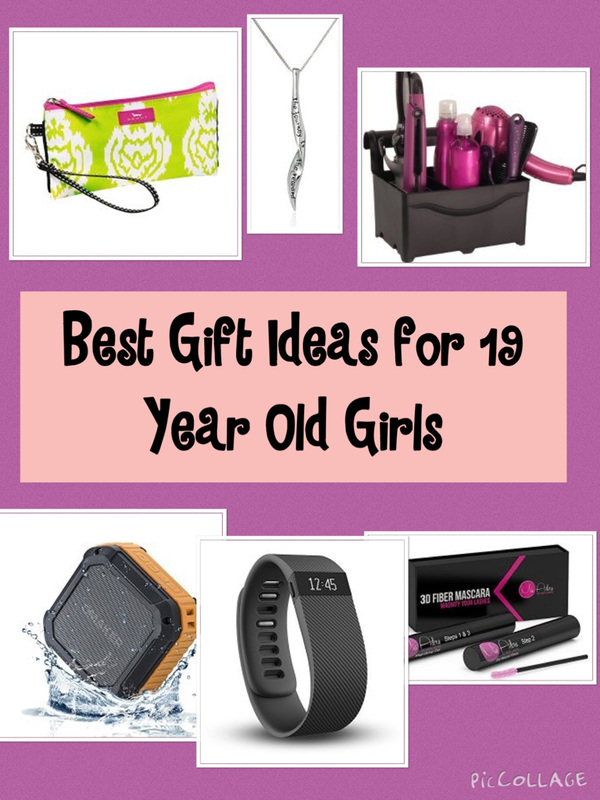 If she is a sporty girl or fitness freak, there are tons more ideas that will make perfect presents. You could get her new kit for her chosen sport. A sports watch is another idea. Or what about the fitness blaze featured below. A fitness blaze is perfect for the sporty girl or just for an 18 year old who wants to improve her fitness levels. It will track steps, distance, calories burned, floors climbed and active minutes. She can also stay connected with call, text & calendar alerts and notifications from your favorite apps like Gmail, Facebook and more. Additionally, see simplified heart rate zones for quickly checking exercise intensity during workouts. If she's a student there are lots of ideas that will help her with her studies. A lapdesk is one cool idea. It means she will be able to look at her laptop or do some work while sitting on the desk or a couch. It's particularly a great gift when she hasn't got a lot of space in her room to study. A bedrest is a practical accessory to have in a dorm or a bedroom. ​It gives extra back support when looking at a tablet, laptop, reading or watching TV on a bed or a couch. They are lightweight so easy to move between rooms. There is handle on the top for easy transportation as well. There are different colors including turquoise and pink. 18 is the age that you officially become an adult so it's a big one. One way to celebrate the occasion is to give the recipitent a special photo album with photos of her through the years (as a baby until the present day). Or load the photos onto a digital photo frame. A retro candy box with candy from her childhood is another idea. A movie from the year she was born or a popular one she loved when she was younger is another idea.